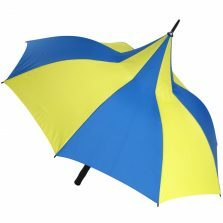 Fashion Golf Umbrella - large golf style designer golf umbrellas! 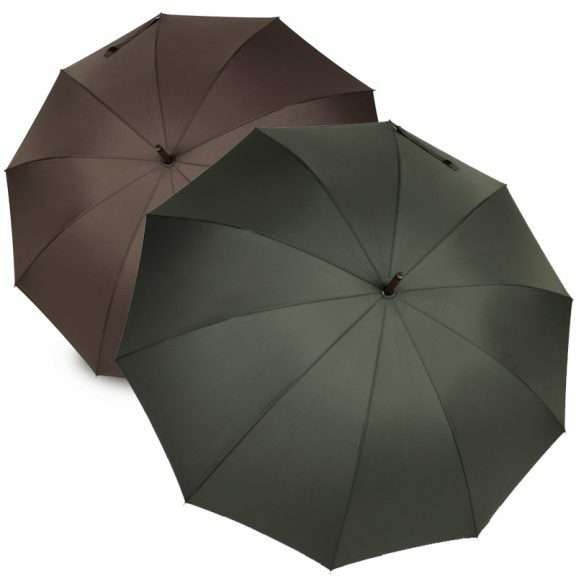 Rioja, the fashion golf umbrella, available in 4 different colour choices. 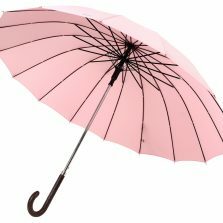 Part of our range of exclusive VOGUE designer umbrellas. You won’t find a large XXL umbrella of this size and quality anywhere else! Introducing the Rioja, a fantastic fashion golf umbrella from our range of exclusive VOGUE Designer umbrellas. You won’t find an XXL brolly of this size or quality anywhere else! This is one mighty umbrella! 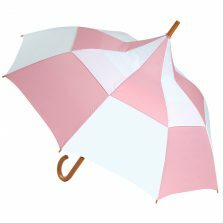 Featuring a flexible fibreglass frame, this fashion golf size parasol is officially windproof. The Rioja is an 8 panelled parasol that really packs a punch. This high quality designer umbrella also features an auto-open feature, so you can protect yourself with the push of a button! With a Teflon coated, hydro-repellent pongee fabric, this high quality brolly has a superb span of 131 cm, more than enough room to fit 2 comfortably… or 3 depending on how hard its raining and how much you like them!